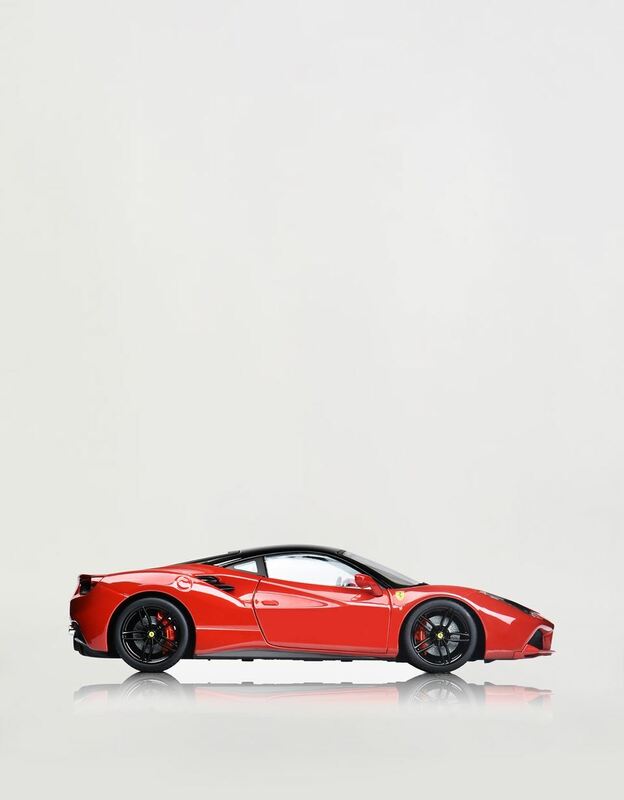 This model from the exclusive Bburago Signature Series is a miniature reproduction of the legendary Ferrari 488 GTB sports car. Characterised by a functioning steering wheel and an opening bonnet, engine compartment and doors, this 1:18 scale model is defined by exceptional attention to detail. 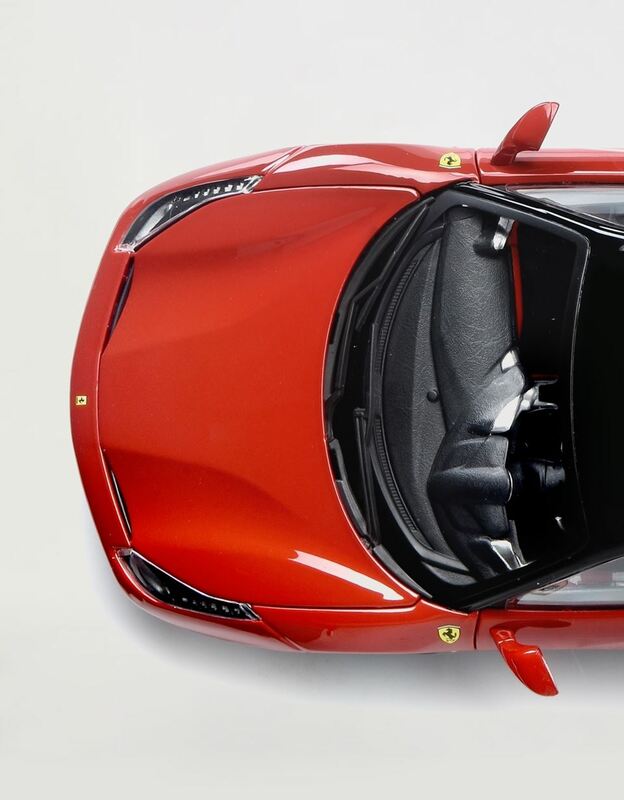 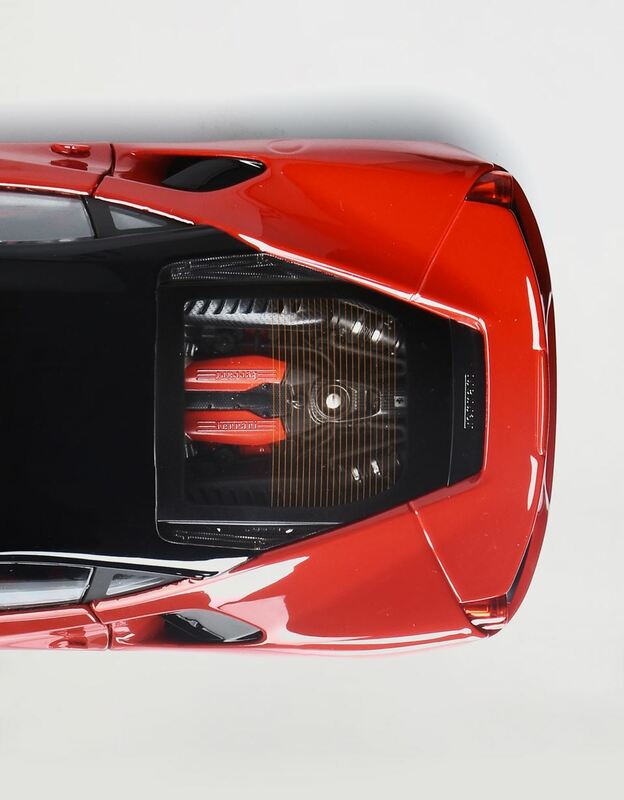 The model replicates the distinctive hood scoop and sculptural flanks of the Ferrari 488 GTB, complete with exceptional detailing in the interior. 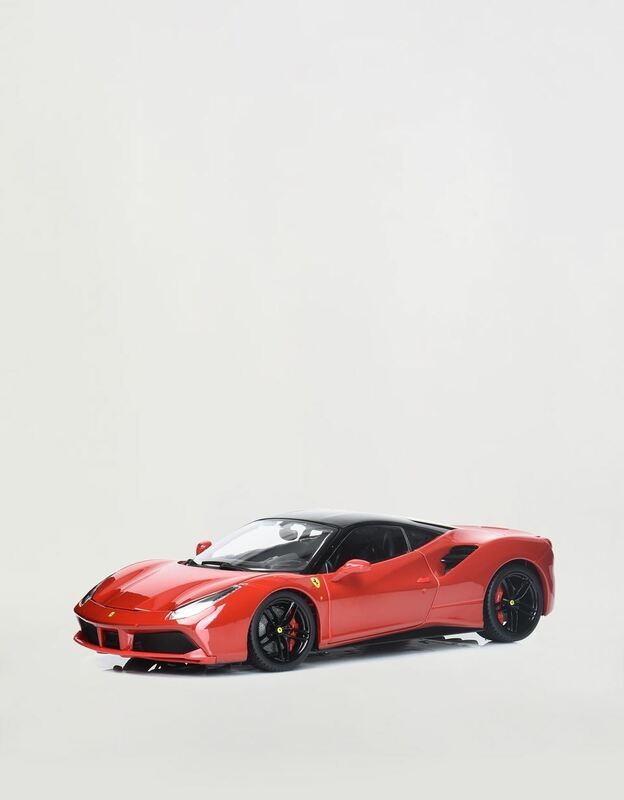 This 1:18 scale car forms part of the Bburago Signature Series, a collection comprising a range of realistic die-cast models that showcase the absolute highest level of detail. 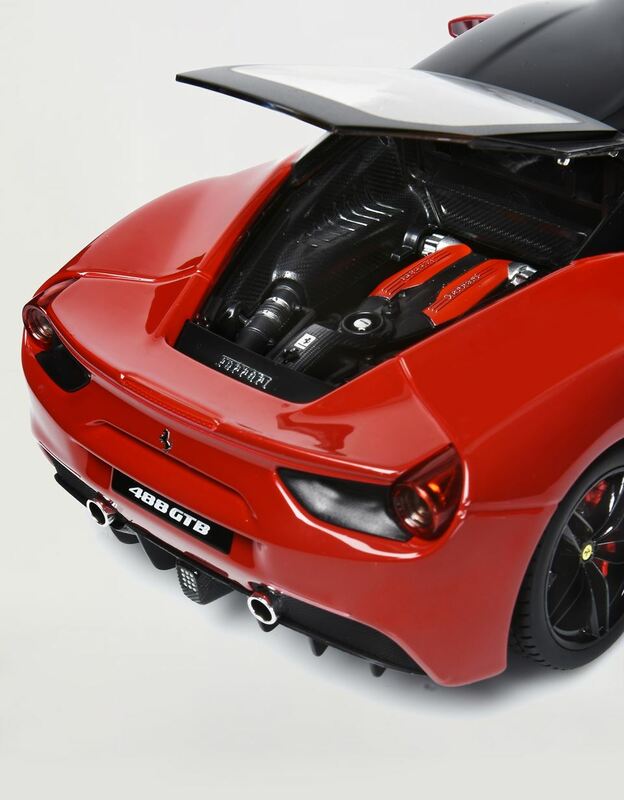 Dedicated to all Scuderia Ferrari fans, this item is elegantly presented in the collection’s own personalised gift box.